The Orion black desk combines a sleek style with dynamic angular lines. 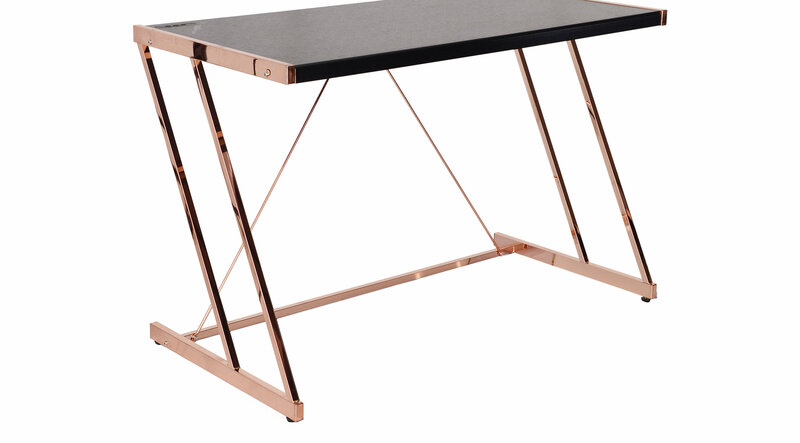 The black wooden top and metal base in a rose gold finish create a useful work space as well as an elegant accent to any compact space. This desk features a USB power dock conveniently adding the extra benefit of a charging station as well.